Glendalough is a suburb of Perth, Western Australia. 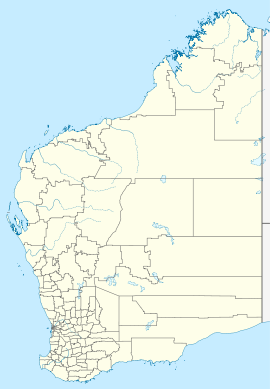 Its Local Government Area is the City of Stirling, and is located about 6 kilometres from Perth's central business district along the Mitchell Freeway. ^ Australian Bureau of Statistics (25 October 2007). "Glendalough (State Suburb)". 2006 Census QuickStats. http://www.censusdata.abs.gov.au/ABSNavigation/prenav/LocationSearch?collection=Census&period=2006&areacode=SSC51526&producttype=QuickStats&breadcrumb=PL&action=401. Retrieved 2008-10-05. This Perth location article is a stub. You can help by expanding it. This page uses content from the English language Wikipedia. The original content was at Glendalough, Western Australia. The list of authors can be seen in the page history. As with this Familypedia wiki, the content of Wikipedia is available under the Creative Commons License.